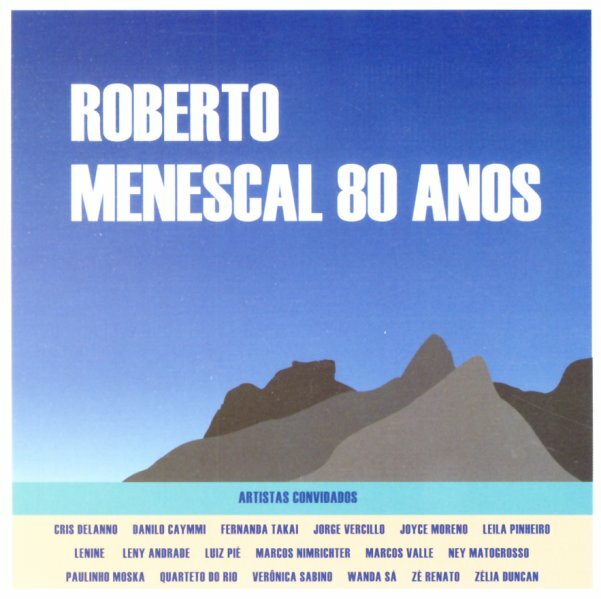 Brazilian bossa legend Roberto Menescal celebrates his 80 years on the planet – in a beautiful set of jazzy grooves that feature work from some of his key collaborators, and a host of great guests too! The record boasts appearances from Marcos Valle, Wanda Sa, Lenine, Joyce, Leny Andrade, Danilo Caymmi, Zelia Duncan, Leila Pinheiro, and others – all working with Roberto in that modern bossa style that he's kept strong in recent decades – flying the flag for the coolest groove on the planet, even when the style was slightly out of favor. Roberto sings and plays guitar, and continues his great legacy as an arranger and collaborator – on titles that include "Telefone", "Agarradinhos", "Voce", "A Morte De Um Deus De Sal", "Adriana", "Nara", "Amanhecendo", "O Barquinho", "Nos E O Mar", and "Errinho Atoa". © 1996-2019, Dusty Groove, Inc.